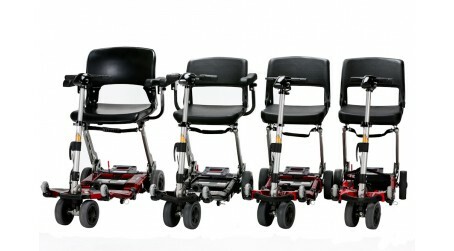 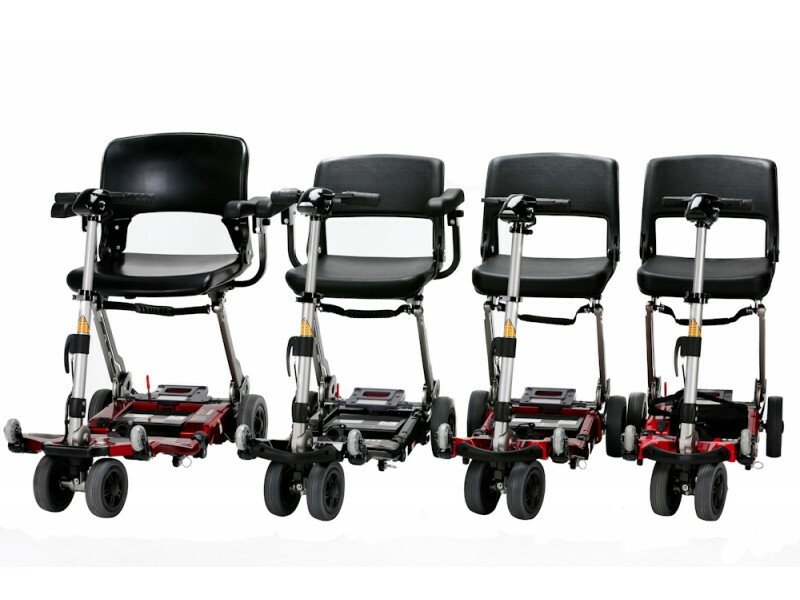 The worlds best selling folding mobility scooter range has just got even better! 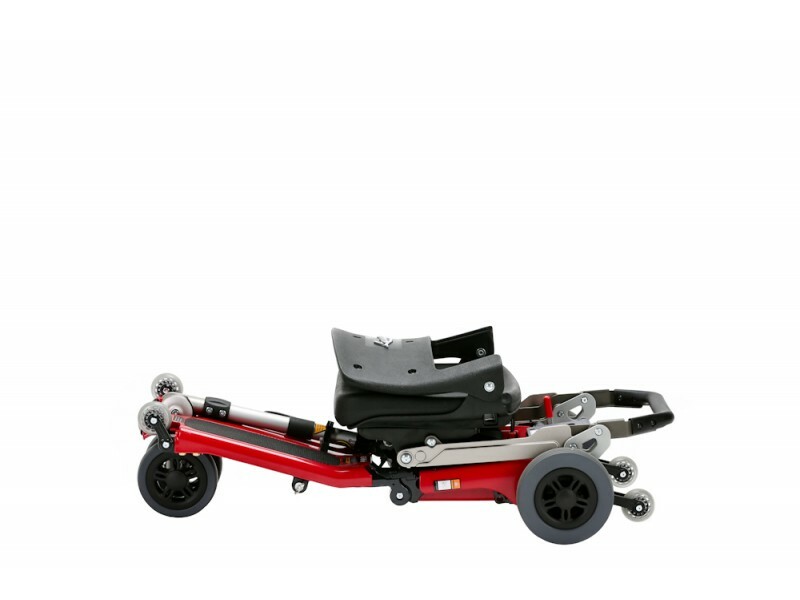 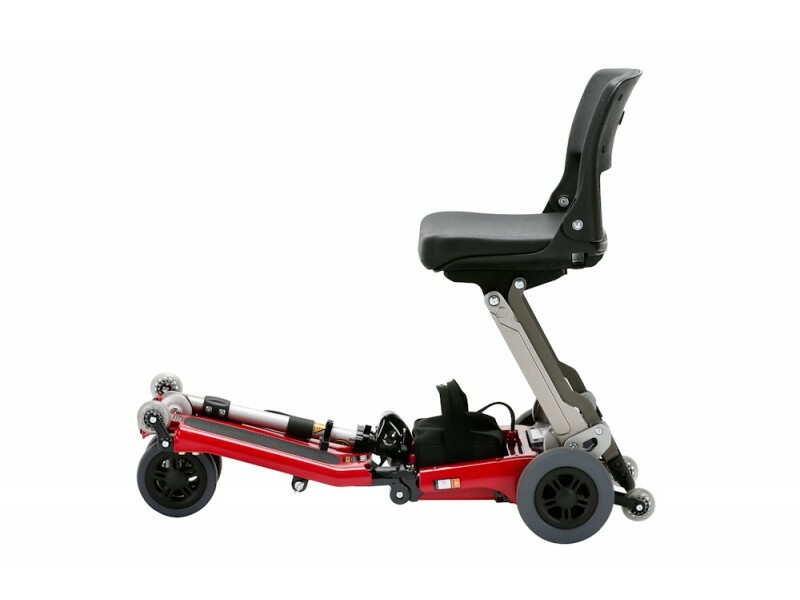 Introduced in 2015 the newest addition to the range, the Eco Luggie lightweight mobility Scooter. 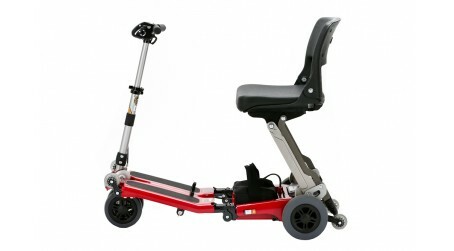 The Eco Luggie Mobility Scooter is perfect for those looking for a transportable scooter to ease travel when they venture out. 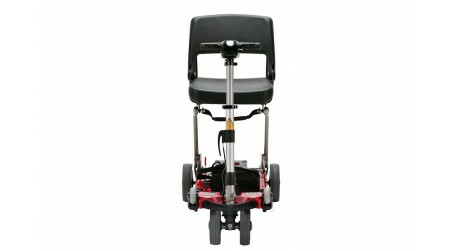 Equally, it is easy to lift in and out of car boots. 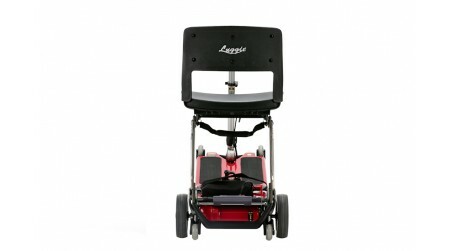 The Eco Luggie is perfect for those looking for a transportable mobility scooter to ease travel when they venture out. 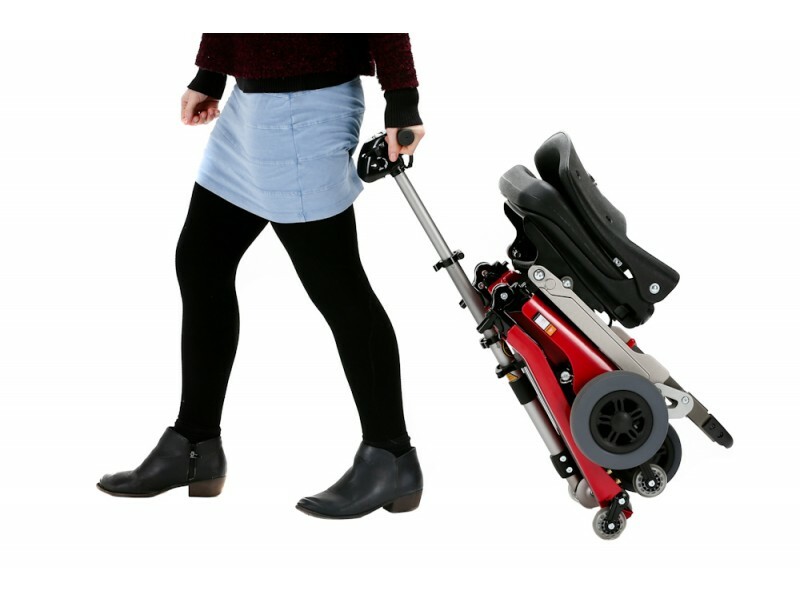 With a range of up to 8 miles and a weight of 23kg (51.7lbs) (excluding batteries) the Eco scooter will travel with you in the car, bus, train or coach. Available in sporty red, find out if the Eco is the Luggie Mobility Scooter for you and book your no obligation home demonstration now. 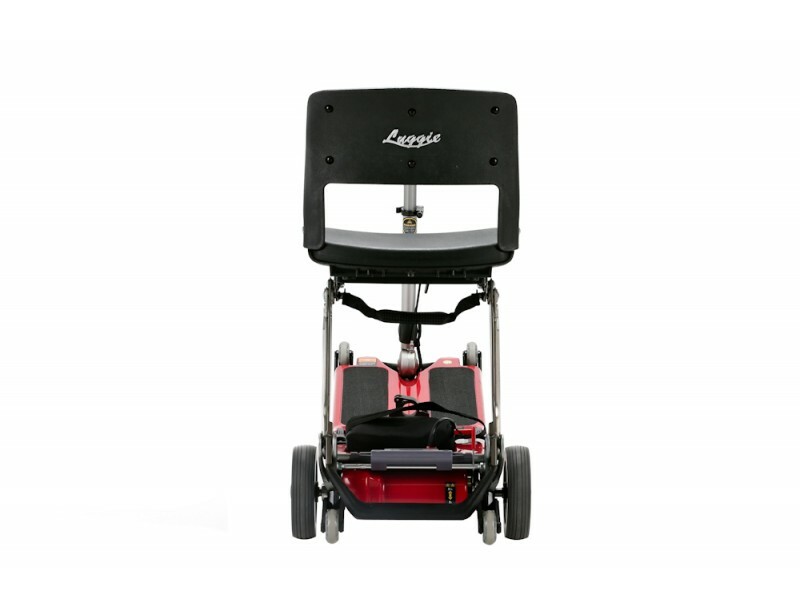 If you want to see for yourself the full Luggie range then you can arrange a free no obligation home demonstration today. 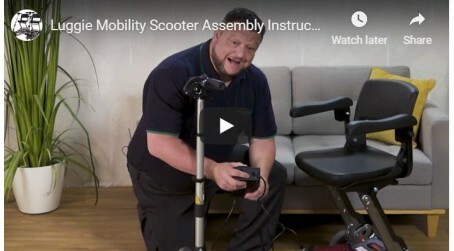 Just call 0800 012 4258 or click book a home demo now. 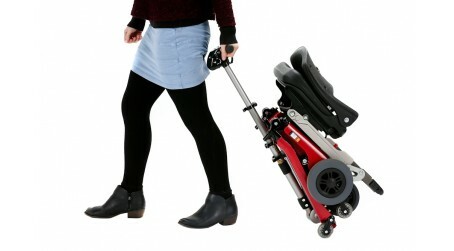 The Luggie Eco Mobility scooter has the classic unique folding mechanism. 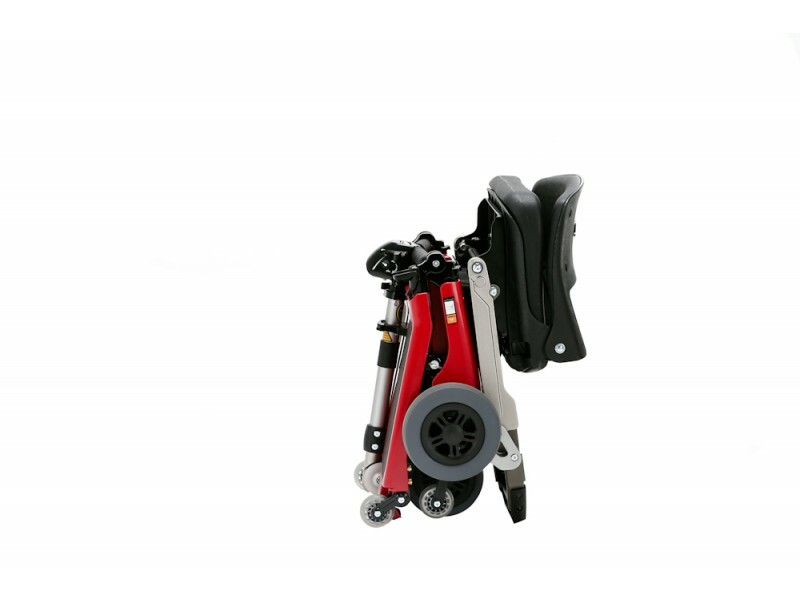 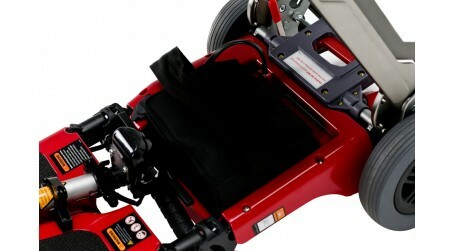 As a result this lightweight mobility scooter can be folded away with the batteries intact. 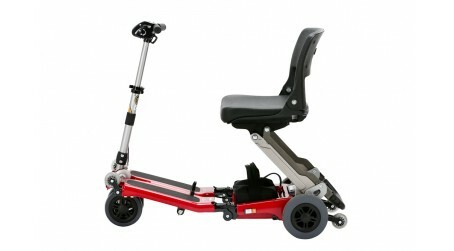 The Luggie Eco Mobility scooter will carry up to 18 stones. 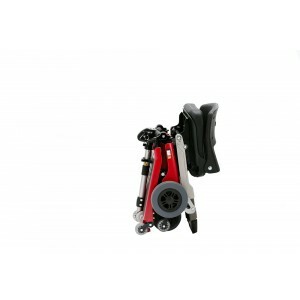 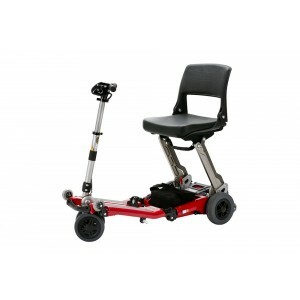 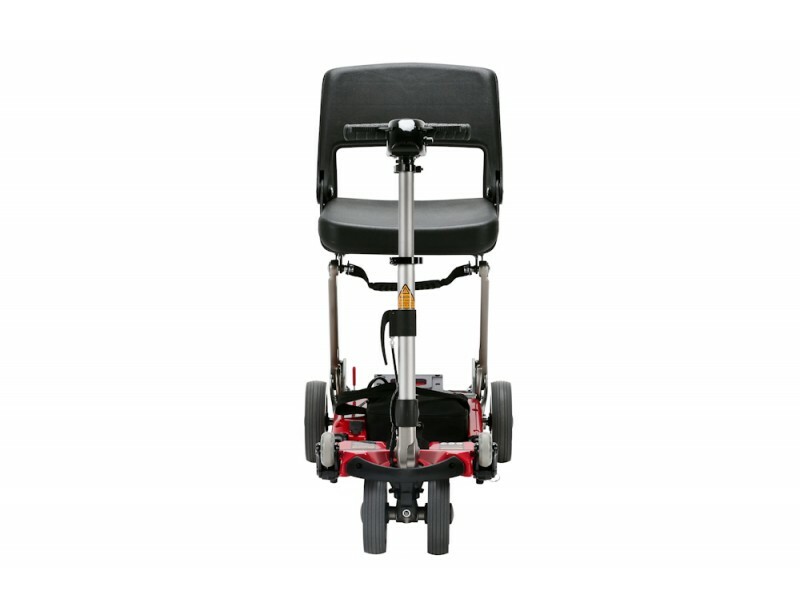 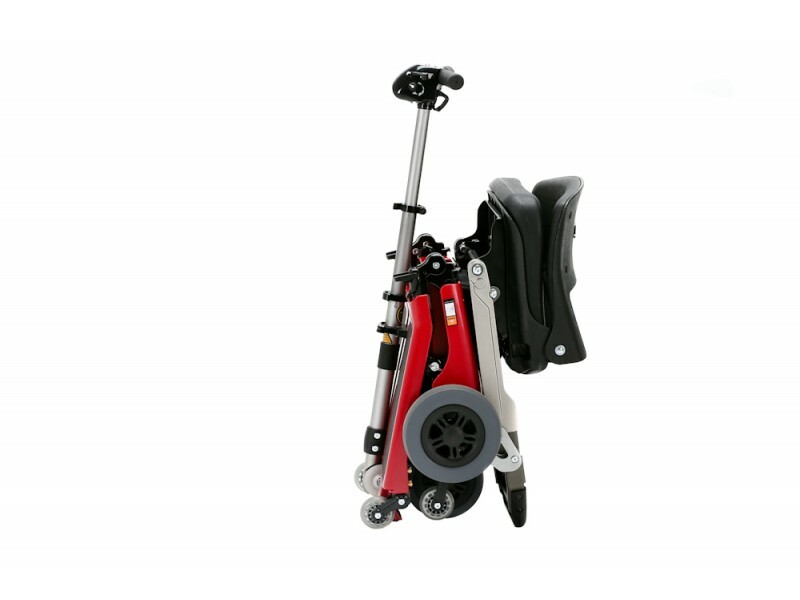 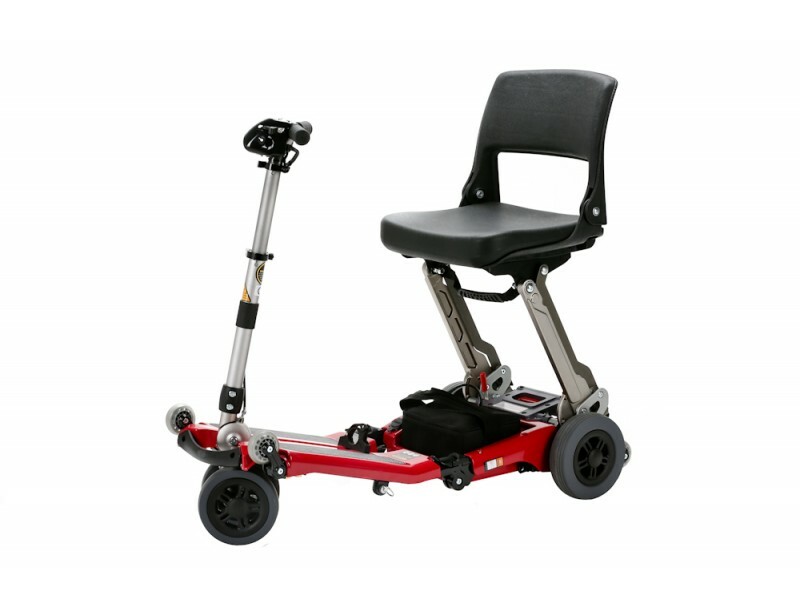 In addition, we have a range of mobility scooter accessories including the Luggie back pack. 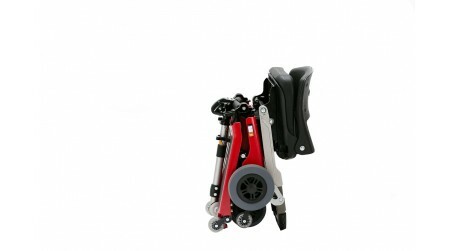 Our accessories will allow you to keep your belongings close and make travel even simpler. 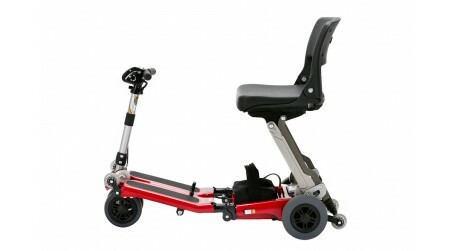 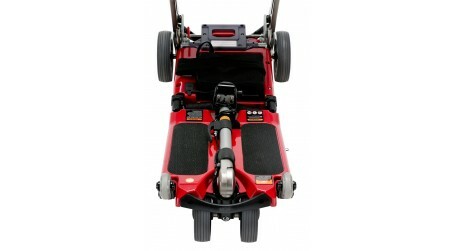 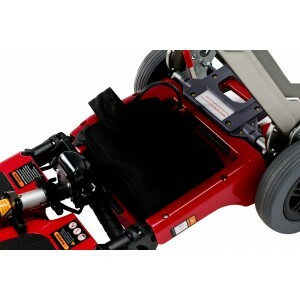 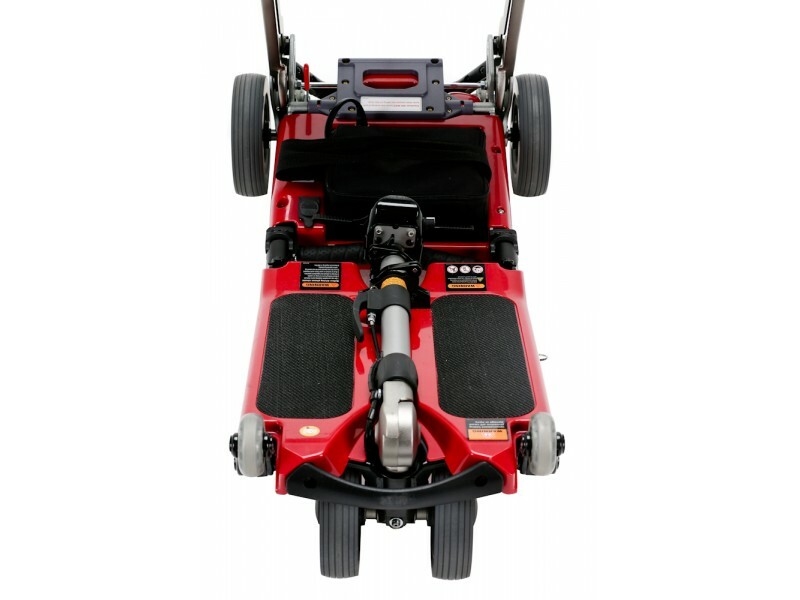 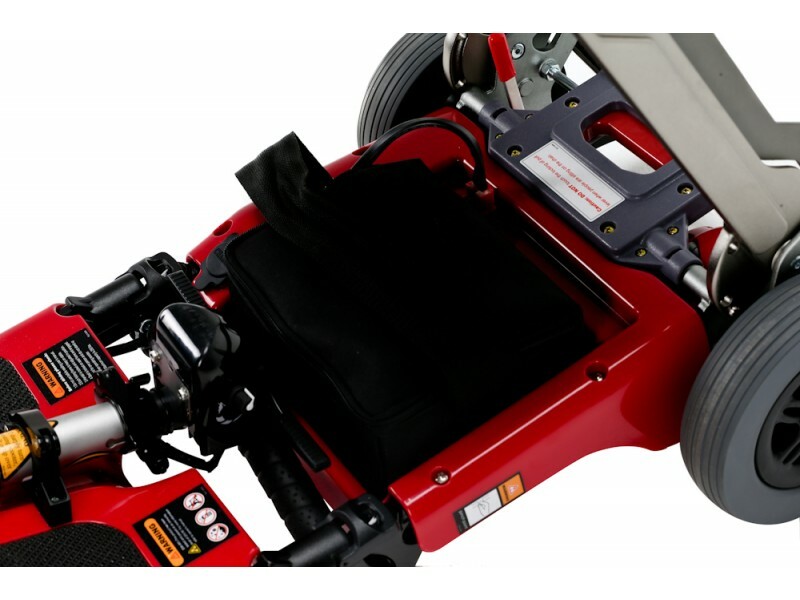 Equipped with two 12 Amp Lead acid batteries weighing 7.4kg (21lbs) with a range of up to 8 miles. 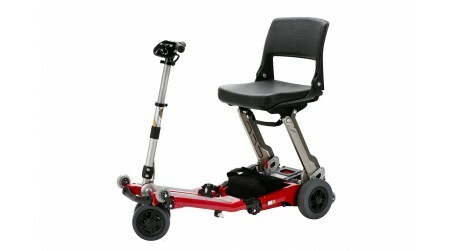 Need to go that little bit further? 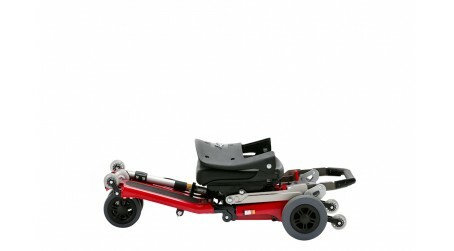 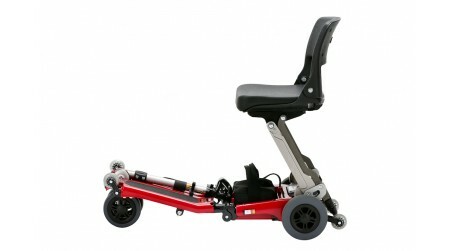 Look to upgrade to the Standard Luggie lightweight Mobility Scooter. 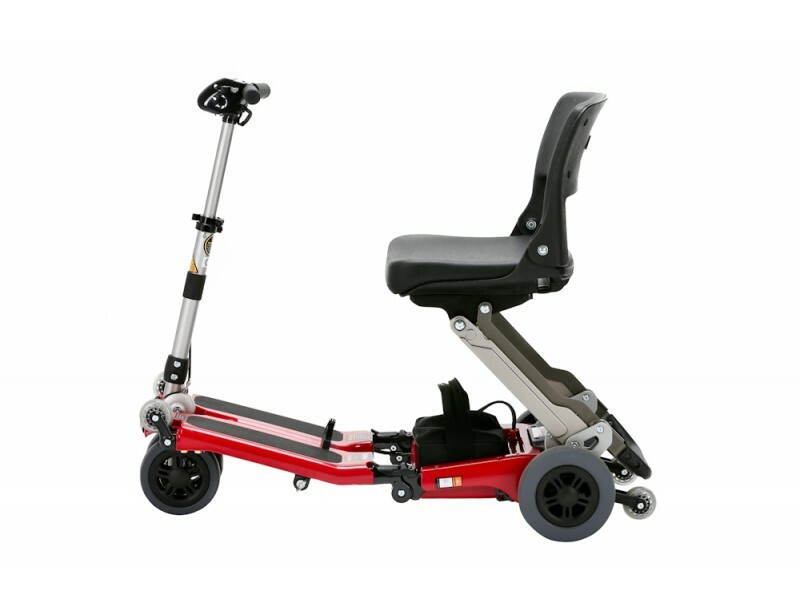 This model boasts the latest airline approved lightweight lithium Ion battery technology.